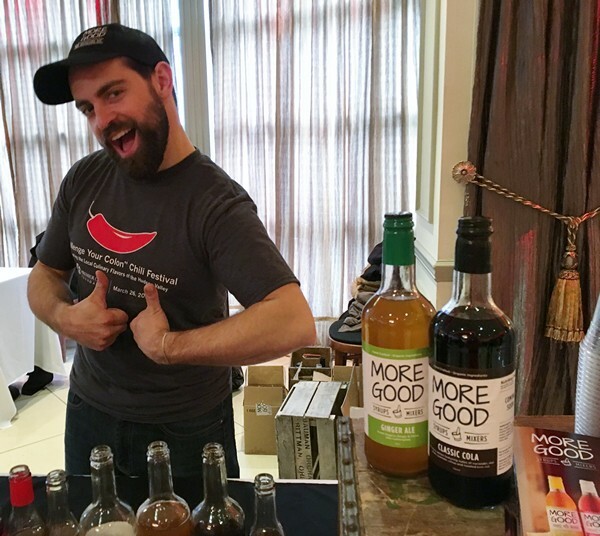 Doing good and soda syrup don’t usually come to mind as a perfect pairing. And trying to get people to drink more soda these days is a little like tilting at windmills. Just don’t tell that to the guys at More Good. They know that we’re all suckers for carbonated water flavored with something sweet – they’re just trying to make that something sweet a little better for you. More Good uses locally sourced and organic ingredients to make concentrated syrups for sodas and cocktails. If you own a SodaStream or you drink soda, you’ll want to check them out. 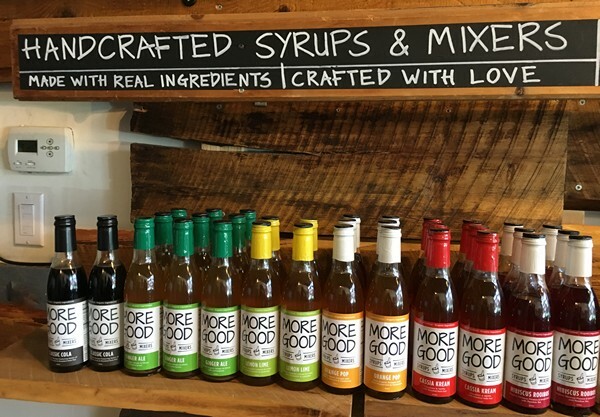 The flavors of the soda syrups are really interesting and range from classics, like their take on ginger ale and cola, to some unique flavors like Jalapeno Black tea. It’s a premium product, but once you start using it you’ll be hooked (in a good way). Wouldn’t you rather pay a little more for ginger ale with organic sugar, ginger and citrus than the “fountain style” ginger ale whose list of “naturally flavored” ingredients do not contain any mention of actual ginger? You control the flavor so you can give your seltzer a hint of flavor or go all out and create your own soda flavors. By doing this, you also control the sugar content (and it’s all organic cane sugar), making More Good more good for you. 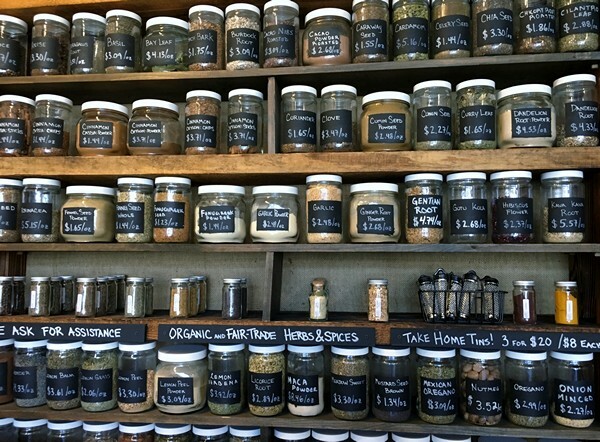 Their headquarters is a small shop in Beacon, part coffee house, part apothecary. Jars of herbs, spices, bitters, teas and bottles of More Good syrup line the walls and all of which are for sale. I actually bought a genius pepper grinder, but that’s probably for another post. There’s a small coffee bar and space to hang out with your laptop or one of the local publications. Behind the wall of spices is where the magic happens. 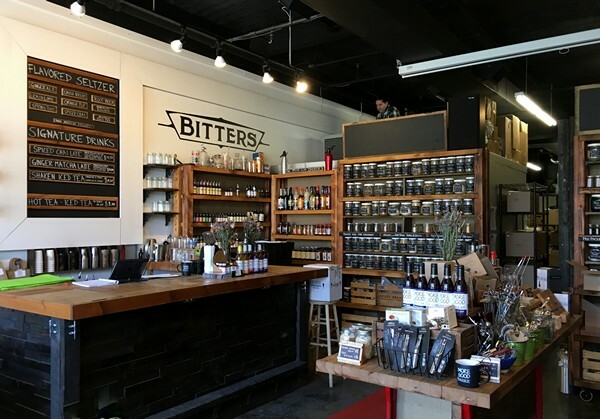 Besides being the place where all the More Good soda syrups are made, the partners, Jason and Scott, also rent out the commercial kitchen for other entrepreneurs. Their goal is to have the space be a collaborative effort, to help the community and to surround themselves with good people and to do good.